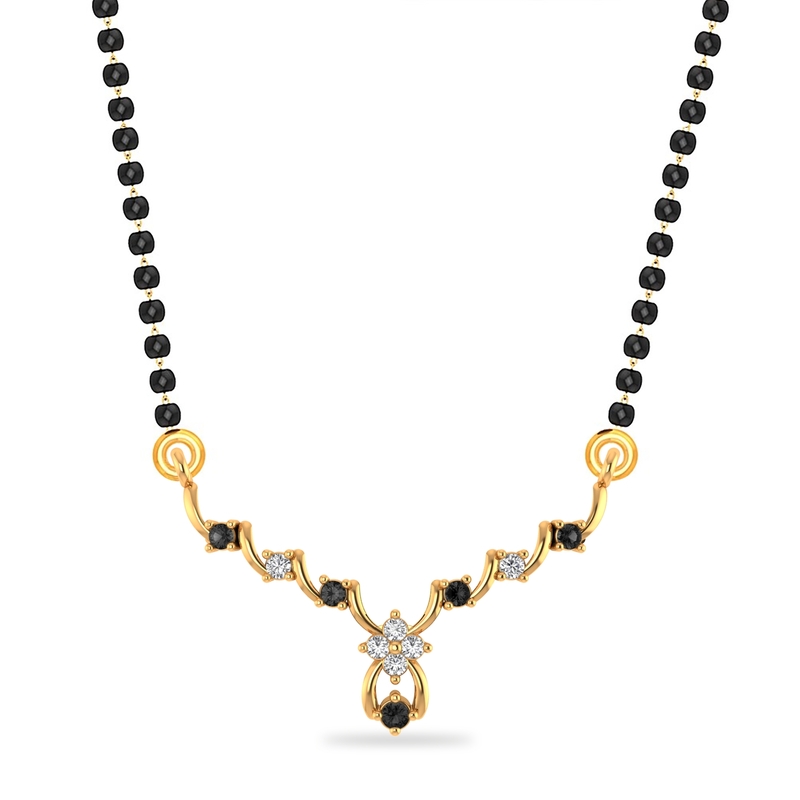 A beautiful combination of golden sheen, rhodium polish and black beads, this alluring Mangalsutra is a manifestation of your fairy-tale wedding as well as your distinctive taste. While it is a traditional jewel that fulfils the age old ritual, reinventing your style too comes easy with it. No way, you can log out from here without making it yours.